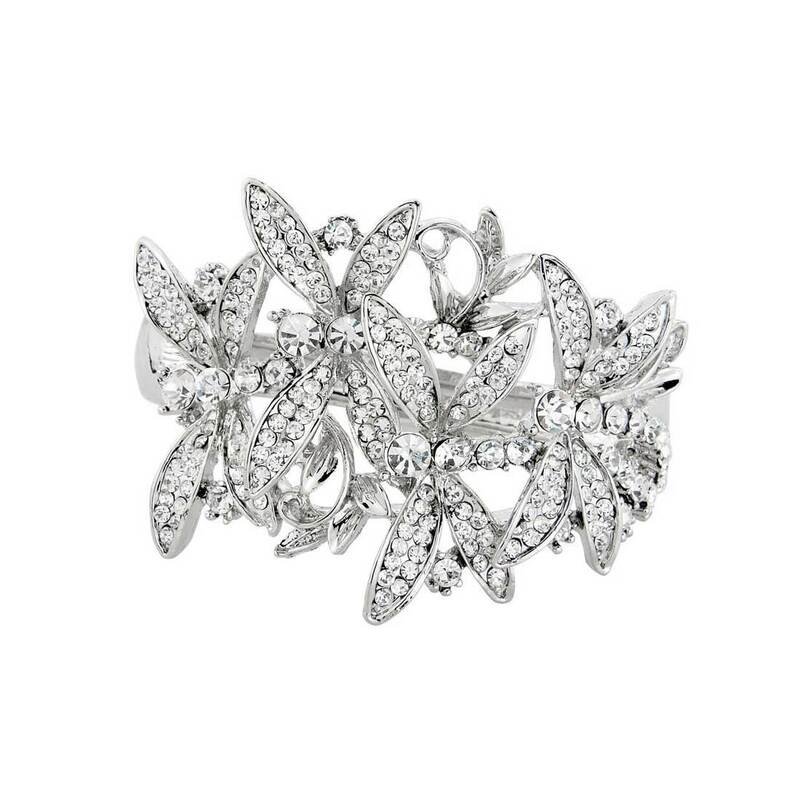 Graceful crystal adorned dragonflies adorn this sparkling and mesmerising bangle. Combining dramatic and glamorous style with the delicate beauty of the dragonfly, our Dragonfly Sensation Bangle is mesmerising. Adorned with sparkling clear Austrian crystal encrusted dragonflies, this silver tone cuff takes influences from the statement style of bangles from 1940s Hollywood with contemporary charm. Perfect to add a touch of sparkle for a special occasion, simply coordinate with a pair of crystal stud earrings to keep the focus on this fabulous piece. A divine wedding bangle for brides who adore the delicate beauty of the dragonfly, this will effortlessly adorn with classic and glamorous style.